People have been performing garden basics by tending the earth since the beginning of time. Somehow, the act of helping life springing from the ground seems therapeutic in a way that the non-gardener can never understand. More than just poking a seed into the ground and hoping for the best, a garden involves a certain commitment of time and effort. Before your shovel breaks into the ground for the first time, you need a plan. Long winters are often spent poring over seed catalogs with a pen, marking your wish list for the coming spring. Next, you get out your paper and pencil and sketch out your design over and over until you are sure it is just right. 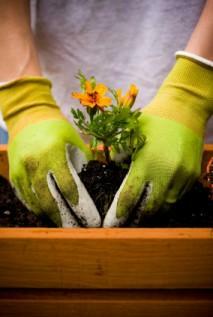 Once you begin on your garden basics the real work starts. There is so much to do from tilling the soil to pruning back vines and shrubs. When the clouds roll in you can have a break from the chore of watering, and your seedlings will look as though they have doubled in size after drinking in the rain. It doesn't matter if you are a seasoned gardener or a beginner; there are garden basics that you need to know in order to have a successful garden. The following articles will help you get started or motivate you to continue. If you don't find the answers you need, don't forget you can always ask an expert. So have fun and enjoy your garden.